MV Agusta's new F3 is one of the most eagerly awaited bikes of 2012, but since its launch storm clouds have been gathering. Is the beautiful Italian simply too track-focused and rough around the edges to be a decent road bike and compete with the competition? 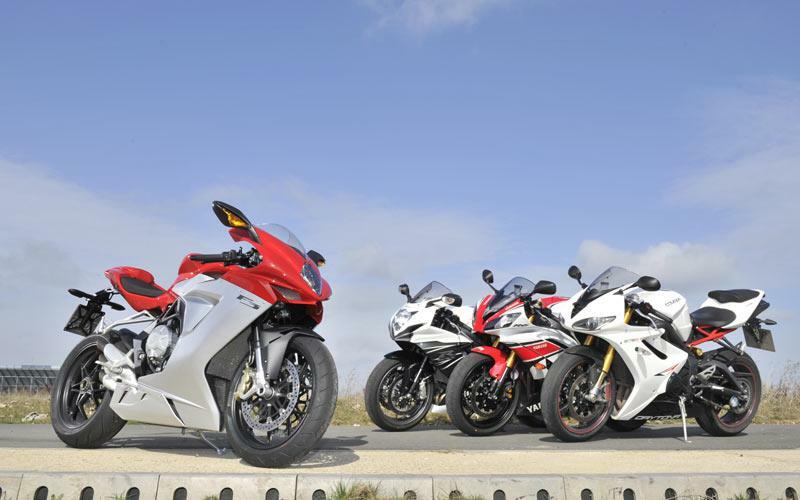 MCN's world first test pitted the MV Agusta against its hottest rivals - the Triumph Daytona 675R, Suzuki GSX-R600 and Yamaha R6 - and proved the MV is not only incredibly focused, but also flawed. We rode the bikes on UK roads and performance tested them at our test track. From the specs below the bikes look quite evenly matched. Which bike do you reckon is top dog based on the specs? Find out in the March 28 issue of MCN.